As digital camera technology becomes more and more advanced, a lot of doors are opening up for independent filmmakers and hobbyists. Making a high-quality movie a decade ago would require filmmakers to invest a significant amount of money in equipment and post-processing fees. With the new range of affordable DSLR cameras available today, the tide has changed dramatically. Make sure you choose a camera that offers the best features and options for video. The Canon T3i is a slightly more functional upgrade to the extremely popular T2i, which was the DSLR of choice for many budget filmmakers for years. The T3i is an excellent option for independent filmmakers or anyone working on a budget, and is the most affordable of the popular DSLRs for video. 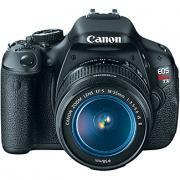 There are a lot of Canon cameras that are considered excellent for DSLR videography. However, the T3i is the only camera that can be easily found for less than $600 brand new with these features. This makes the T3i great as a backup camera for advanced users and an excellent primary camera for budget-conscious filmmakers. Though not technicaly a DSLR, the GH2 has earned a place on this list for a number of different reasons. It is a lightweight interchangeable lens system that provides excellent video quality for a reasonably low price. With a price hovering at around $680 for the body, it's roughly $100 more than its next closest competition, the T3i. Technically, the Panasonic GH2 is a mirrorless system. Traditional DSLRs utilize an angled mirror to reflect the image coming into the lens up to a prism that relays the image through the viewfinder. This allows the shooter to see the exact same composition that is coming into the lens. When the shutter is pressed, the mirror flips up to reveal the sensor, which captures the image. Mirrorless cameras do away with the mirror and prism, replacing them with a digitally reproduced image in the viewfinder. Aside from this, the GH2 looks and feels like any other small DSLR camera. For the price, the Panasonic GH2 packs a punch that truly warrants its place among more "true" DSLR filmmaking tools. You will need to be conscious of the significantly larger sensor crop of these Micro 4/3 cameras when compared to the APS-C cameras in the Canon line. However, it's all about give and take. 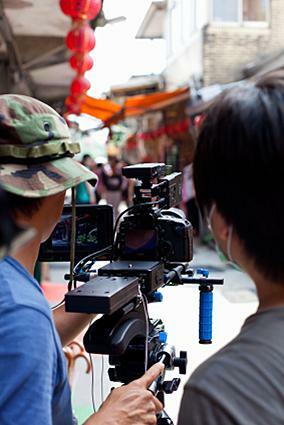 The GH2 provides an out-of-the-box functionality that cameras like the T2i, T3i, and 60D don't without added firmware. Also, some people using the Sony Vegas editing program have noted that the .MOV files created by cameras like the T3i won't work on Vegas without being converted, which creates a loss of video quality. The AVCHD format works well here, though. Canon and Nikon are really the two major hitters in the world of DSLR filmmaking. Between these two companies, most Canon models beat out similarly priced Nikon cameras in terms of usability and video quality. The D7000 is a great option for shooters who are familiar with Nikon products or who have an affinity for Nikon lenses. It provides high-quality video at a price-point that makes it a viable option for DSLR video shooters. The Canon 5D Mark II was released in late 2008 amid an enormous amount of fanfare. To this day, it remains one of the most popular options for DSLR video, and is still viewed by some as the best all-around DSLR for filmmakers. This is true despite the fact that there have been two major upgrades to the 5D Mark II over the years, including the 5D Mark III and the 6D. With a price that continually hovers at around $1,799, the award-winning Canon 5D Mark II is the most affordable full frame sensor camera on the market for people who are serious about DSLR video. The 5D Mark II is still very popular because of consistent support through Canon firmware updates and excellent video quality. As of this writing, the 5D Mark II is also the only full frame Canon to be supported by the Magic Lantern program in a stable release. This provides the 5D Mark II with a significant advantage in terms of easing workflow during video production.